If you are searching for a trustworthy manufacturer that will provide you with honest answers then you have come to the right place. We have a successful background of creating metal products. We are recognized for our ability to adhere to the parameters of our customers. 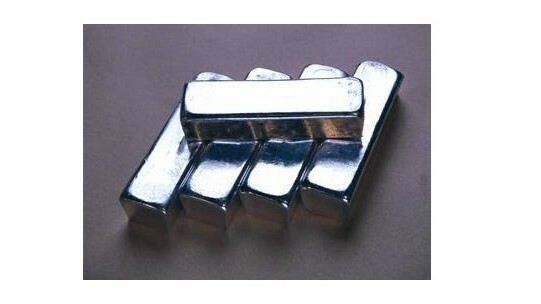 There are a number of benefits you will receive if you select us as your nickel bar provider. Turn to us for unprecedented solutions. Give us a call today! Nickel bars are straight, solid products of nickel or nickel alloys that have the capability of being extruded. Nickel bars can come in a variety of shapes: circular, triangular, square, and more. Nickel bars are among the wide range of products that can be formed from nickel, whose alloys can withstand extreme temperatures and be welded, machined, and hot and cold worked. Nickel bar refers to a solid straight rod or plank like stock form of comprised of predominantly of a high purity form of the element known as nickel, or Ni. This chemical element is beneficial in many metallurgical applications as it exhibits high toughness, ferromagnetic properties, excellent corrosion resistance, ductility, malleability and high heat resistance. Though referred to as nickel bars, these stock shapes are often comprised of alloyed metals in which nickel is merely the predominant element. Common nickel alloys available in bar form include 200, nickel 500, Inconel 600, Inconel 718, Hastelloy C276, Cupro Nickel, Monel K500 and Monel R405. Solid, straight bars are available not only in a number of alloyed forms, but with versatile cross-section shapes such as circular, square, rectangular, triangular, or a number of other shapes, though rectangular is often the most common. The range of nickel bars available at most nickel suppliers reflect their use in a number of industrial applications in aerospace, petro-chemical processing, power generation, architecture and many other fields. It is important to consider the specific features, alloying, shape and processing of nickel bars to ensure that they are suitable for their intended use as they are incredible diverse. Regulated bar sizes help with this while also ensuring that manufacturers can efficiently transport, store and machine the metal components. A naturally occurring element, the nickel used in the production of bars and other stock and finished parts must first be mined from deep within the earth. Nickel ore is extracted through pyrometallurgical extraction or hydruometallurgy and refined through various roasting and reduction processes. The resulting element has a silvery-white color. After refining the raw nickel can be processed in its pure form or alloyed through various techniques. Bars may be produced through extrusion or the use of dies which involve heating the metal to a molten state before forcing it through a die or a series of dies to create the desired bar shape and size. Because of its high heat resistance and malleability, nickel bars are more commonly produced through cold-drawing in which no heat is necessary. Instead, the nickel stock is drawn through a series of progressively smaller dies in order to reduce its diameter. The bars are then cut to the desired length and put on the market. As aforementioned, the bars most commonly serve as a stock shape and later undergo one or more secondary processes such as bending, turning, milling, drilling, grinding, forging and reaming. The bars may also be melted down to use in the production of other metal alloys such as stainless steel. Manufacturers should consider the intended use of a nickel bar and consult suppliers before purchasing to ensure that processing is economical.